New price, NEW HOME! Why not? Sellers will consider assisting buyer with closing costs with a reasonable offer! Check out this great starter home or perfect for investment. This cozy & colorful home features 2 bedrooms, 1 bathroom, detached garage and underground storm shelter for minimum 8 people! Sellers have done a lot of work during their ownership like central heat & air, all new windows and new siding on the back of house recently in 2018. Other major updates include new roof and exterior brick in 2015. Tile floor can be found throughout house while rooms have carpet. Updated bathroom in February 2019. The kitchen is nice with newer kitchen cabinets about 3 years ago. 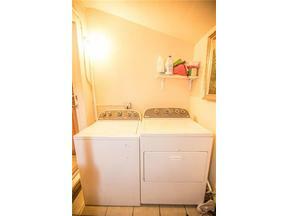 Indoor laundry area.Convenient location. Quick access to I-44, near shopping centers and Will Rogers World Airport. Right in front of Woodson Park and Sports Complex where there is a lot of fun and activities in the summer. Courtesy of Cristal Escobar, Casa Pro Realty Inc.